This holiday season, many smart home devices were flying off the shelves in stores. These devices were designed to make life easier by offering connectivity to your smartphone and providing many new and convenient features for homeowners. If a smart device was under your tree, congratulations. Now you have the chance to add other smart devices for your home. One great addition would be a smart home smoke detector. There are many benefits to smart smoke detectors, so let’s take a look at some of them. Many smart smoke detectors are now compatible with virtual home assistants, such Google Home or Echo from Amazon. They allow you to check your alarms remotely using your smartphone and to silence false alarms that may occur. 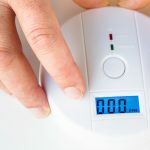 You can add other compatible home devices, such as thermostats and security camera systems, to your network for extra peace of mind. 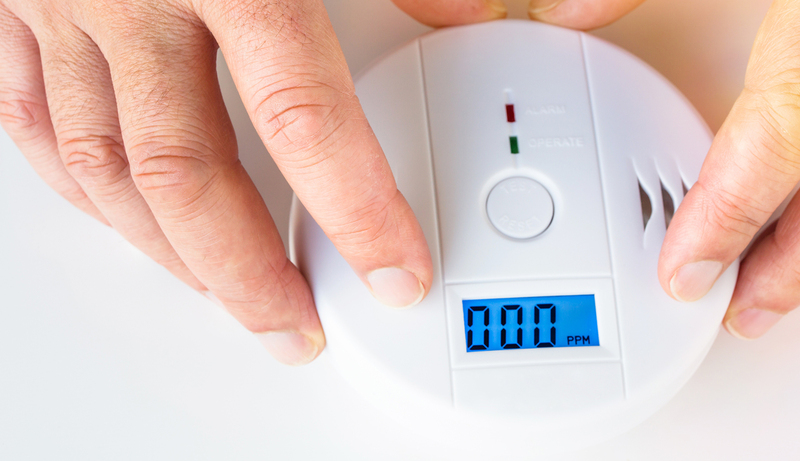 For example, if your smoke detector sounds an alarm, the thermostat can turn off the furnace for extra security. Your smart security camera can record what has happened so you can review it later. We’ve all been there – something is in the oven and drips onto the burners causing some smoke to appear. Your smoke alarm blasts and the dogs go crazy. With most smart smoke detectors, they can tell the difference between a minor concern and a full-on emergency and then alert you accordingly. Many models also feature a sensor that can detect both fast and slow-burning fires. If it detects a little bit of smoke or rising levels of CO, the device will give you a heads-up. If it gets worse, it flashes red, activates the alarm, and talks to you, letting you know exactly what’s going on. Yes, it actually talks to you! Ceilings are generally the best place to install smoke detectors, which often means that once that alarms starts blaring because of cooking smoke or steam, it can be very difficult and time-consuming to reach the silence button on the alarm. Some of the best smoke detectors can connect to voice assistants, allowing you to use your voice to control your smoke detectors. If a false alarm is sounding off, you can simply tell the false alarm to turn off without struggling to reach hard-to-access locations. Alternatively, many smoke detectors come with a silence button through a connected app on your smartphone. If you have more than one smoke alarm and they are linked to other smart household appliances through your home monitoring system, they can notify you of the exact location of the fire. If you need to evacuate your home, this will help you avoid danger. Have you ever left your home and realized you forgot to turn off the stove or the over? It is a terrifying realization. With a smart smoke detector, should this situation occur, you would receive an alert on your phone telling you the alarm has detected smoke in the kitchen. You can head back home in time to diffuse the situation. Furthermore, smart device compatibility can also help adult children monitor their elderly parents homes, alerting them to also helps improve home safety for the elderly, as adult children can receive alerts from their parents’ homes, alerting them to potential emergencies. 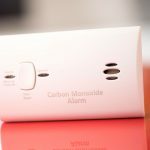 Carbon monoxide (CO) is odourless and tasteless so it can accumulate in your home without you being aware of it. 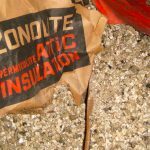 CO is a toxic fume produced by burning fuel in furnaces, automobiles, grills, fireplaces and other gas ranges, and other sources. Many smart smoke alarms come with built-in carbon monoxide detectors. If CO is detected the device will speak up and let you know what and where the issue is. We know how annoying it is when the low battery of a smoke alarm starts chirping. Many smart smoke detectors have a green light feature to tell you everything is working, as it should. Some have a check-up feature that allows you to simply tap and check all your alarms at once, and then get a report. Smart smoke detectors are available with batteries or can connect to your home’s wiring with a battery back up for power failures. With new devices being added regularly, smart homes are no longer a dream of the future. Dimmers, light bulbs, outlets and more are all available to be connected to your system. Some models of smoke detectors come with built-in speakers, which can be used to listen to music or check the weather. With New Year around the corner, why not make a resolution to equip your home with the safest smoke detection system. 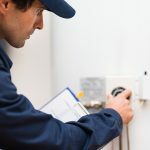 We at Mose Home Inspection want to make sure you know everything about your home and this is a great way to leverage new technology to get quick alerts and stay safe.